- Strive to acquire and maintain a thorough understanding of your financial goals. - Update your current financial information on a regular basis. - Carefully assess and monitor your investment risk and time frame. - Explain the implications of all recommended financial planning strategies and gladly answer any questions you may have.- Update you as and when appropriate by email, mail and phone. - Meet with you regularly to review your Personal Financial Organizer (PFO). - Act as your primary Financial Advisor, coordinating the efforts of other related professionals as and when required. - Treat you with utmost respect and professionalism. We’ve learned through experience that effective communication and mutual respect are essential to a long-term working relationship. We need you to know that our recommendations are always based on helping you achieve your financial and lifestyle goals. It is important you understand that all investment, tax, estate and insurance advice will be based on the information you provide to us. Therefore, in order for us to offer recommendations and advice best suited to you, we need you to fully participate in the financial planning process with us. Eric L. Applewhite III, Senior Portfolio Manager with Morgan Stanley*, has three priorities with his clients. He wants to educate them about the importance of risk management, develop a disciplined plan of investing and demonstrate the value of tactical asset allocation. He sets out to accomplish this with the use of technical and fundamental analysis. He manages five portfolio strategies emphasizing a relative strength discipline and utilizing exchange traded funds, closed-end funds, individual equities and bonds. Eric’s strategies include: (1) a tactical income strategy, (2) a tactical global macro strategy, using all six asset classes; domestic equity, international equity, commodity, currency, fixed income or cash, (3) a tactical fully-invested, sector (4) and (5) a long only tactical equity strategy. All strategies employ a similar discipline, but the client’s investment objective determines which strategy to use. Eric joined Morgan Stanley* twenty years ago and has over twenty five years of experience in the financial services industry. He conducts a weekly educational forum and conference call for advisors to review the tactical and strategic use of technical and quantitative analysis. He encourages open discussion and ideas. He is a Certified Financial Planner, a member of the Institute of Certified Financial Planners and an affiliate of the Market Technicians Association and a member of the Portfolio Management Institute. 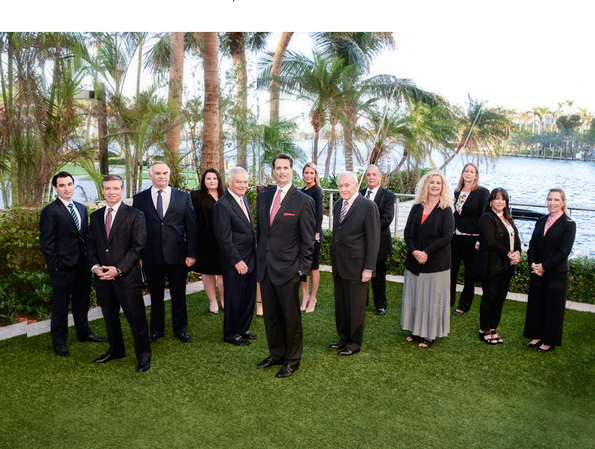 He leads a seven member team in Boca Raton, Florida which as of July 2017, has $500 million in discretionary client assets under management and has many strategic partnerships with advisors throughout the firm. 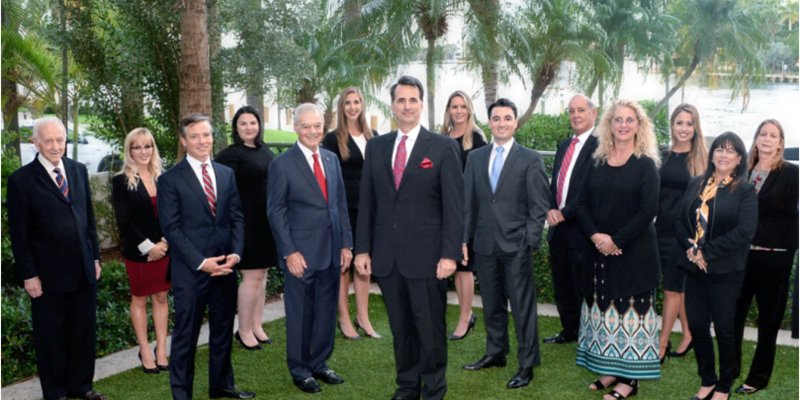 Eric resides in Boca Raton with his wife, Laurie, and their four children. Howard Guggenheim serves as Senior Vice President, Financial Advisor and Financial Planning Specialist at Morgan Stanley*. 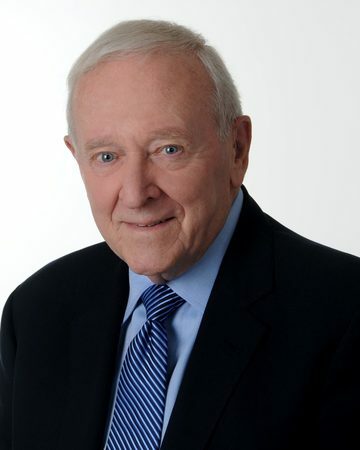 He started his career in 1954 in the operations department at Joseph, Mellen and Miller Inc. in Cleveland, Ohio while at Case Western Reserve University. After completing his studies, he joined the firm as a Financial Consultant and rose through the ranks becoming Vice President in 1961. In 1965, Howard joined McDonald & Company, a leading investment banking and municipal underwriting firm, as a partner in sales. 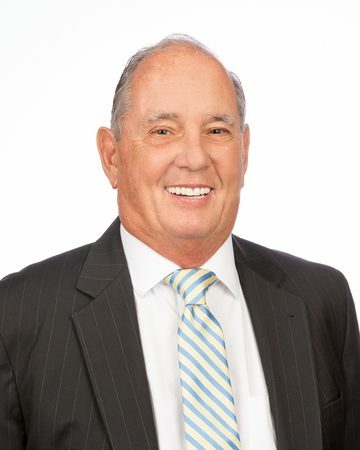 He joined Smith Barney in 1978 as an Assistant Branch Manager in Cleveland. Later, he relocated to Boca Raton, Florida to manage a new and expanding branch. Over the next 20 years, Howard oversaw the growth of the operation from $500,000 to over $22,000,000 with $2.3 billion in assets under management. Throughout his career, Howard has served in leadership positions for numerous industry groups. He was a member of the Cleveland Security Traders Association. In Florida, he served as chairman of the Florida Securities Dealers Association. He also has served as chairman of the National Association of Securities Dealers Business Conduct Committee. In addition he served as chairman of Securities Industry Association, Southern District and headed up the Stock Market Games, which is the Foundation for Investor Education’s program that simulates real-world investing for school children. Howard also has given his time and commitment to serve in leadership positions for a number of philanthropies and community groups. While in Cleveland, he was chairman of the Bankers and Brokers Division of the United Jewish Appeal. He served on the board of Menorah Park, Jewish Home for the Aged, and was chairman of the Admissions Committee and of its Foundation. He also served on the boards of the Jewish Vocational Services and the American Jewish Committee. In addition, Howard served as chairman of the Florida Atlantic University Foundation, and was the first founder of the school’s football program. He also created the Howard Guggenheim Athletic Scholarship at the school. Howard resides in Boca Raton and enjoys spending time with his three children and five grandchildren. Julie is a Senior Vice President and Wealth Advisor with the Harbor Financial Group at Morgan Stanley, as well as a Portfolio Management Director. In her role, she focuses on retirement, tax, estate and business planning; cash flow analysis; education savings; family security; and investment strategies, all of which enhance the family office experience. Through more than 30 years in the financial services industry, Julie has gained extensive knowledge and specialized training in financial and estate planning. She is a CERTIFIED FINANCIAL PLANNER and has completed the five Certified Commercial Investment Member courses that contributed to her success as a real estate developer for her family business early in her career. 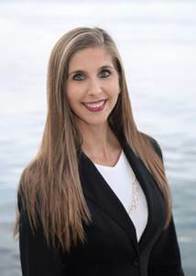 Julie is a contributor to Attorney At Law magazine, which covers North Broward and Palm Beach counties, and she is a non-attorney member of the South Palm Beach County Bar Association. After receiving her bachelor’s degree in business administration from the University of North Dakota, Julie continued her studies at the Centre International D’Etudes Francaises at Catholic University of the West in Angers, France. She then returned to the University of North Dakota to obtain her M.B.A with an emphasis in finance and marketing. Julie then went on to receive her Certificate of Graduate Studies from the American Graduate School of International Management in Arizona. 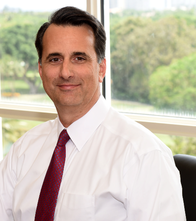 Daniel brings 30 years of investment experience to his role as a Financial Advisor and Financial Planning Specialist at the Harbor Financial Group at Morgan Stanley. He enjoys developing client relationships with professionals who are either preparing for retirement or are in retirement including those interested in multigenerational planning. Daniel began his career in the financial services industry as an institutional equity sales trader with McDonald & Company Securities. He joined Smith Barney (Morgan Stanley’s predecessor firm) in 1989 to work with institutional clients, and in 1992 he moved to the retail side of the firm to support individuals, small businesses and nonprofit groups. During his years as a securities trader, Daniel became president of the Cleveland Security Traders Association. He has also served as a volunteer to help educate students and administrators through the Center for Economic Development at John Carroll University. Since graduating from the University of Florida with a degree in finance, Daniel has been involved with the Northeast Ohio Gator Club alumni organization, where he has held the positions of president and treasurer. He resides in Boca Raton, Florida, and Chagrin Falls, Ohio, and enjoys outdoor activities including: cycling, camping, fishing, cooking and spending time with his two children. Bill French is a Vice President Financial Advisor at Morgan Stanley, and has been with the firm for 55 years. After serving as a branch manager for ten years, Bill decided to return to his role as a Financial Advisor. 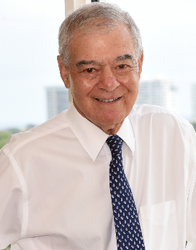 He is the former director of the Security Industry Association- southern District, the former Chairman of the Florida Securities Dealers Association, a member Emeritus of the Economic Roundtable of Boca Raton, and has served his community through the YMCA as Founder and first President and as chairman of the FAU Foundation. He graduated B.A. from Amherst College, and went on to receive his MBA from New York University. Bill spends his leisure hours in Boca Raton and weekends in the Florida Keys with his wife and two golden retrievers. Elton S. Stevens is a Vice President and Senior Portfolio Manager with Morgan Stanley* (MSSB). He has been with Morgan Stanley* and its predecessors since 1992 and has over fifty years of experience in the financial industry. Elton believes that effective money management is accomplished by limiting investments to assets that demonstrate strong relative strength. He couples this approach with an active risk management oversight. The objective of this approach is to hold strong investments and sell weak ones. Elton’s investment approach allows him to invest in different areas of the investment spectrum. Depending on the market, he will invest in stocks, ETFs, bonds, commodities, currencies or cash. The mix of investments will depend on the market and the relative strength of those investment choices. Elton limits his financial practice to Discretionary Portfolio Management. He believes that this approach best aligns his expertise with his client’s interest. Elton lives in Boca Raton with his wife Trudi. He grew up in Chicago and earned a BS degree from the University of Illinois. He has lived in Florida since 1964. Ross has been a Financial Advisor with Morgan Stanley since joining the firm in 2013. He has been named to the Firm’s Pacesetter’s Club, a global recognition program for Financial Advisors who, within their first five years, demonstrate the highest professional standards and first class client service. As a Certified Financial Planner®, he follows a disciplined process to work with clients to craft a solution that helps to meet their individual financial needs. Together, we formulate a strategy to help them achieve their most important goals and then deliver a vast array of resources to them in the way that is most appropriate for how they invest and what they want to achieve. 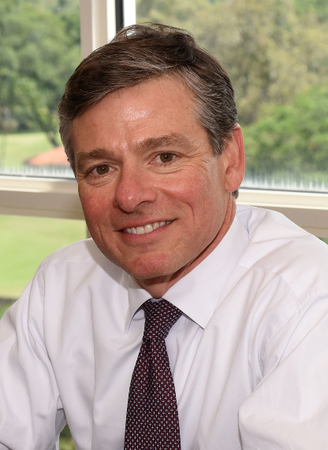 After graduating from Sewanee: The University of the South, Ross moved from Richmond, Virginia to Boca Raton to join the Harbor Financial Group. 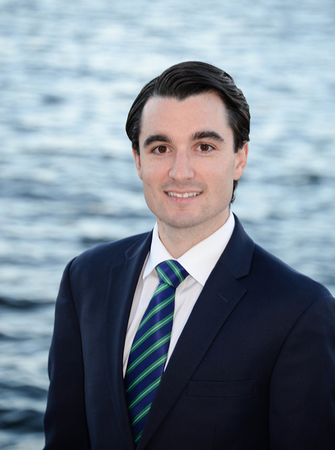 Ross is a graduate of the 2018 Leadership Boca program through the Boca Chamber of Commerce, and spends time volunteering with the United Way of Palm Beach County, Florence Fuller and mentoring students at the Milagro Center. He currently resides in Delray Beach, FL with his wife and dog, and enjoys endurance sports, traveling, and reading by a pool. 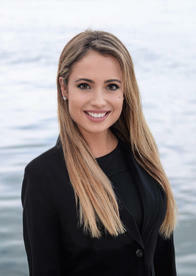 Gina is a native Floridian with a Bachelor’s Degree focused in finance from the University of Central Florida. Upon graduation, she spent a few years working at Lockheed Martin, serving as a budget and schedule planner on a multi-million-dollar engineering development contract for an agency of the U.S. Army. Since her relocation from Orlando back to South Florida, Gina has started her career as a financial advisor with Morgan Stanley. Gina’s enthusiastic approach to clients combines analyzing their current financial situation, assessing risk and assisting them with achieving their investment objectives. In college, Gina assisted with Zeta Tau Alpha’s participation with Breast Cancer Awareness, the sorority’s charity. In Orlando, she volunteered on weekends organizing games for the Boys and Girls Club. Currently, she lives in Coral Springs close to her parents and sisters. She enjoys playing sports, her favorite is soccer, traveling and spending time with her family and friends. Monique Shide works with affluent investors by identifying their personal and financial goals, managing the risk in the portfolios, and developing a complete financial plan. She accomplishes that through systematic review and analysis. You can expect consistent communication from her with regular monitoring of the investments. A Florida native, she spent her younger years living in Illinois and Mississippi, and has lived in the South Florida area for the last 20 years. She currently resides in Boca Raton. She earned her undergraduate degree in International Finance and Marketing with a concentration in Spanish from the University of Miami and her Masters of Business Administration in International Business from Florida Atlantic University. Before joining Morgan Stanley, Monique’s had 12+ years of corporate experience across several industries, with expertise in marketing, branding, and product development. She has considerable business acumen in P&L management, customer insights, and trends analysis. 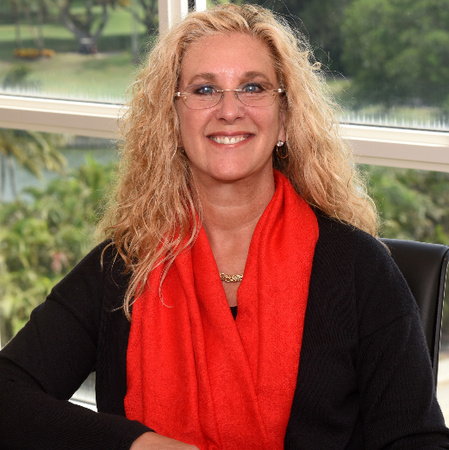 In her free time, Monique is actively involved in local philanthropy through the Junior League of Boca Raton, holding various leadership positions over the past 10 years. She loves to travel the globe; 39 countries and counting! She stays active at the gym and practices yoga, is overly competitive about college football, and spends time with her family who lives locally. Holly McNulty is an Assistant Vice President and Portfolio Management Associate with the Harbor Financial Group. She has been in Wealth Management since graduating from the Macaulay Honors College at Baruch College in 2007, and has been with Morgan Stanley for 7 years. Holly spent 4 of those in New York City before moving down to Florida in May of 2015. She has her Series 7, 66, and licenses, in addition to her Florida and New York Insurance licenses. Holly earned her Executive MBA degree at Florida Atlantic University in December 2017. 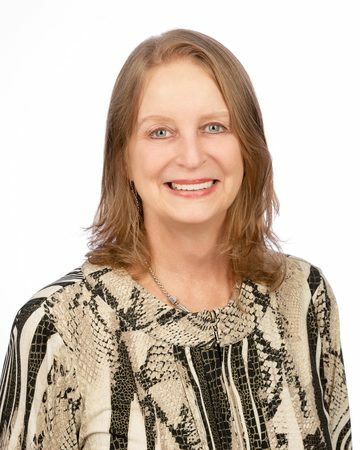 Nann Burch started her career in the securities industry in 1982 as an OTC Trader with a small retail firm in Buffalo, NY. Nann came to Dean Witter Reynolds, West Palm Beach in 1985 as a Sales Assistant. In 1989 she was promoted to Branch Manager Assistant where she held that position for 5 years before meeting Alan Levinsohn in 1994. She currently holds a General Securities License (Series 7), has passed the Uniform Securities Agent State Law Examination (Series 63) and she is licensed as an Investment Adviser Representative(Series 65). Getting back to nature, Nann raises heritage chickens, loves to garden (to feed those chickens) and landscape, enjoys designing clothing patterns, machine knitting, clay and metal sculpting, virtually anything that has to do with the hands. Carol Avitto is a Portfolio Associate who has worked in the financial industry in Boca Raton, FL since 1978. Her career with Morgan Stanley began in 2000. She has a Series 7 and 63 licenses. Carol has been married for 37 years and has 2 grown children. Her passion is organic gardening, vegan cuisine, and her love of all animals. Creatively, she enjoys designing jewelry with natural earth stones. Courtney is a Client Service Associate with the Harbor Financial Group. 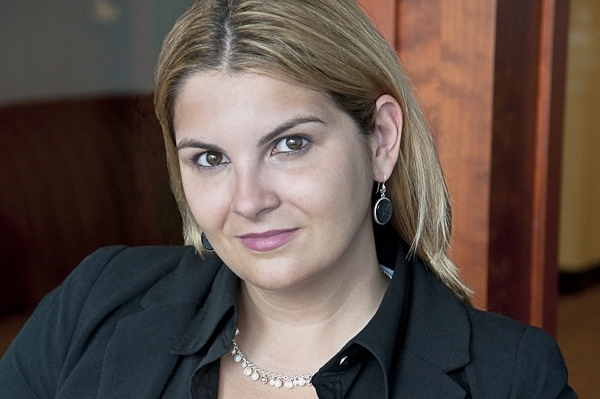 She has been in Banking and Wealth Management since graduating from Florida Atlantic University in 2012. 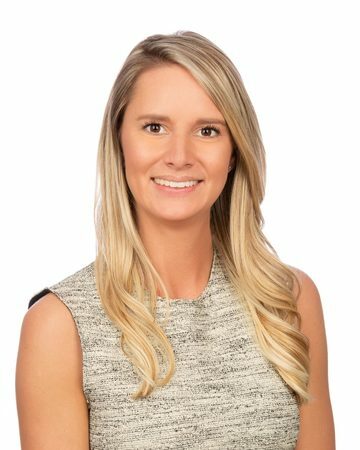 Courtney recently joined the Harbor Financial Group in November of 2015. She has been in Florida for almost 25 years after moving down from New Jersey as a young child. In her spare time Courtney enjoys playing tennis, going to the beach, and volunteering at the Boys and Girls Club of Boca Raton.